MPM is how I meal plan for our little family. I once spent a lot of time searching the web and my recipe books hunting for new recipes and ideas for what to cook every week. Then, Pinterest came along and made meal planning much easier for me. Every weekend I look over what I have pinned the prior week and decide what I would like to cook and make my grocery list from these recipes. 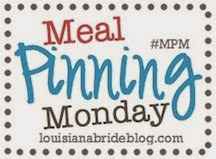 MPM came about as a way to share what I am cooking, and to also see what others are cooking every week to hopefully get even more dinner ideas from other bloggers. If you don't pin your recipes feel free to just share what you are cooking. To see the recipes I've chosen, just click the pictures. I didn't make it very far into my meal plan last week, that soup lasted a lot longer than I expected. So this week is a redo of what wasn't cooked plus a post roast I am trying. To see last week's recipes go here. I am making it short and sweet today. This recipe happens to be a Cater sister favorite, Laura and I make these every Christmas. 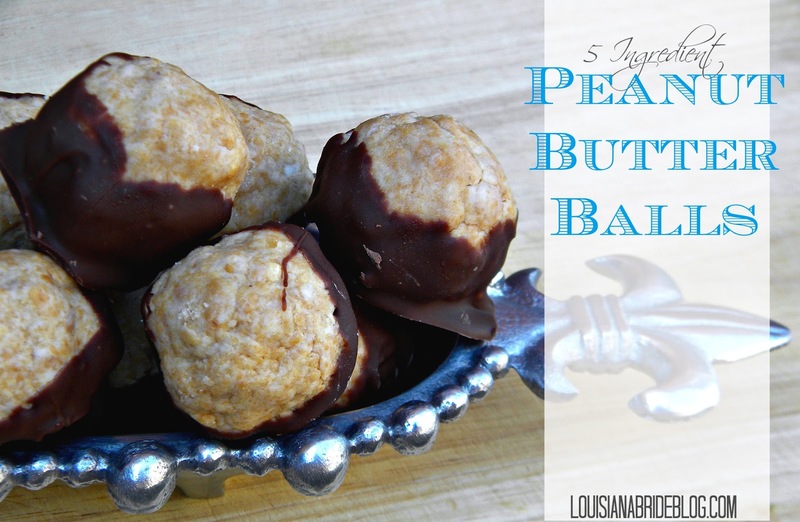 Our little Peanut Butter Ball recipe originally started as a peanut butter play-dough recipe in a 90's Parenting magazine. After years of playing with it I made a batch in college, which ended in my boyfriend's roommate breaking into my dorm room to steal the entire batch. Right then and there I knew these things were good. And we've eaten a lot of them ever since. It doesn't hurt that they are insanely easy. Soften peanut butter and butter in a large microwave safe bowl for about 45 seconds. Do not melt the butter, just soften it to make stirring easier. Remove from microwave and stir in powdered sugar. When fully combined roll into balls (roughly 2 tbsp per ball). Chill on a baking sheet lined with parchment paper for 30 minutes. Dip in melted chocolate, and chill for an additional 10 minutes.